Road Construction players - Who will win the race along the upcoming freeways? Infrastructure companies are indirectly dependent on government policies. 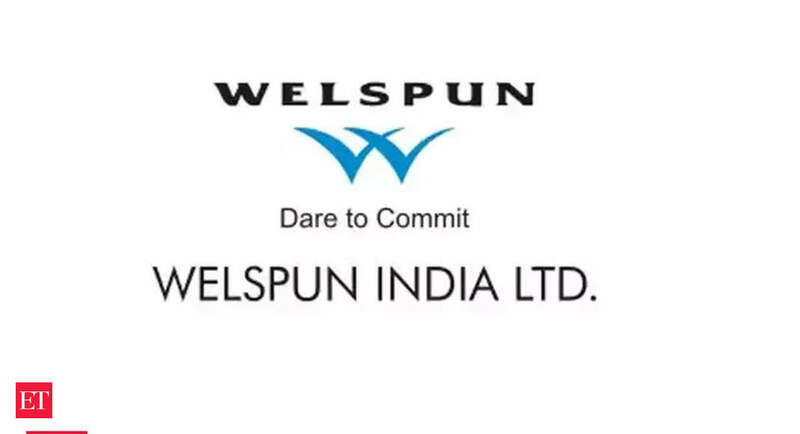 Welspun is in pressure due to upcoming government formation uncertainty, in spite of back to back project win and completion before timelines. I believe if there is a stable government formed in upcoming election, it will fly like anything. Reflects in the sudden uptrend today. Net Sales at Rs 550.59 crore in December 2018 up 71.2% from Rs. 321.61 crore in December 2017. Quarterly Net Profit at Rs. 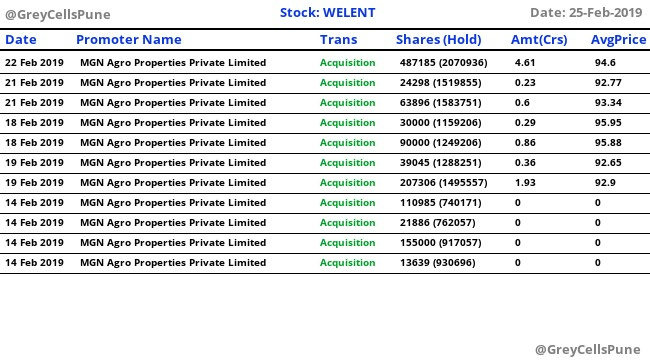 35.24 crore in December 2018 up 85.97% from Rs. 18.95 crore in December 2017. 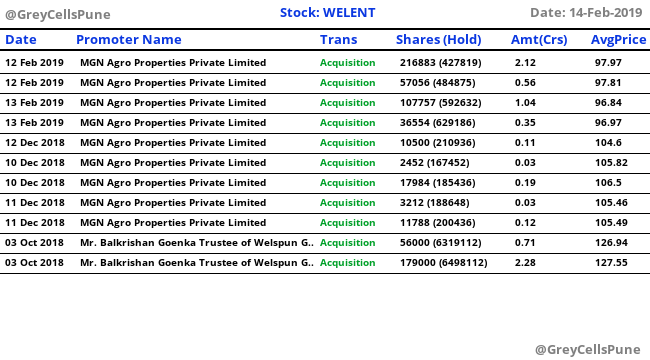 Welspun Ent promoter group continuously buying shares from open market. 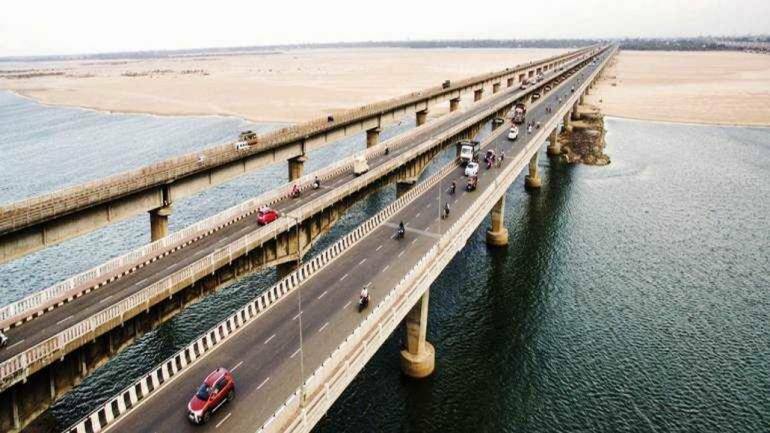 Its Primary focus on HAM makes its scope of expansion limited in short run as NHAI to reduce HAM portion due to liquidity crunch. Over promise and Under deliver. No recent Projects wins by company. Whereas in recent interview itself he had suggested few order wins in FY19 itself. Moreover their Annual Revenue Guidance for FY19 (1800 to 1850 cr) itself may not be met as they need to do about 800 cr in Q4 which is difficult. Market not confident if the cash shown on books is real. Over promise and Under deliver. No recent Projects wins by company. 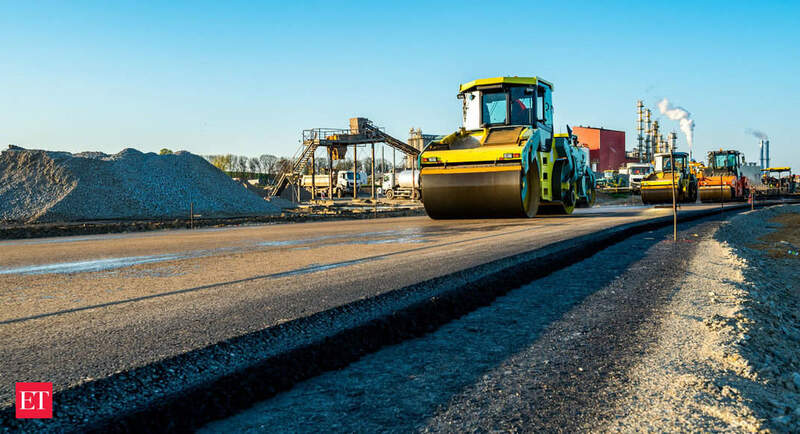 The company has received the letter of award from PWD, Government of Maharashtra, for upgradation of roads/two-laning of roads/ two-laning of roads with paved shoulder under MRIP. The construction period is two years and WSNRPL has received a firm sanction letter from lenders for this project, the company said in the filing. 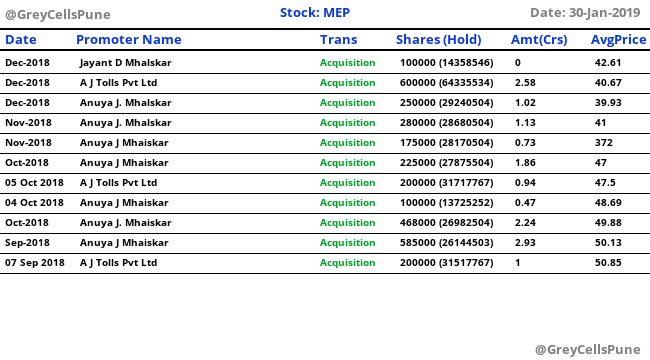 Company current order book is around 5750 crores. Can not support this statement and looks like speculation to me. We should avoid speculating things here. @S_Banerjee Thanks for prompt response. I am just giving my reasons that I think could be affecting. 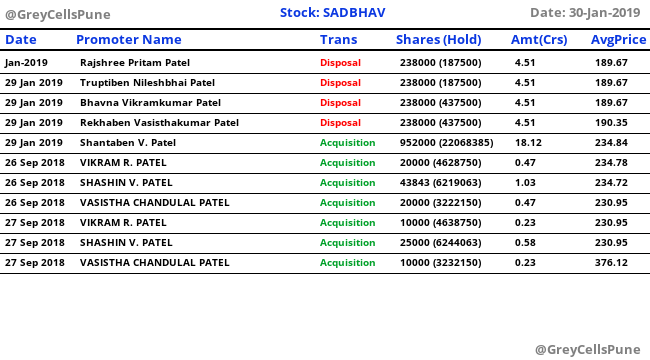 Moreover the links you posted and the order book are old one and company had given a guidance of 7000 CR. Also refer the interview link in my post where MD himself is saying to win few projects in this quarter and nothing happened on that. 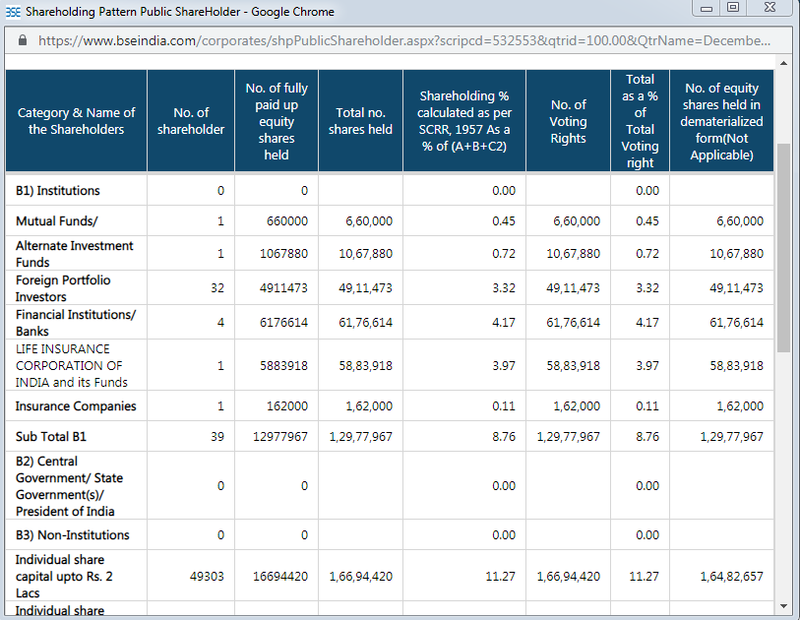 @sushilkc : LIC was out by end of Q2 itself as per shareholding disclosure. 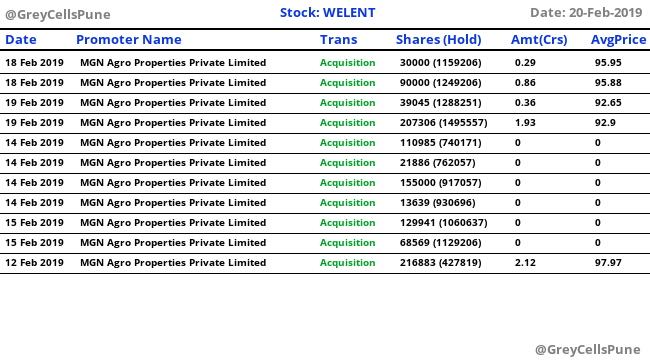 EDIT : Just verified and LIC was still there in Q3 shareholding as well. Not sure the status afterwards. This is last quarter Q3 development. Are you expecting company to win a bid each week? LIC has same number of shares in Dec quarter which it had in Sept-18 quarter. Buddy , seems like you have a habit of selective reading. Had you read the complete post that would have clarified what I mean. They will not be able to meet their guidance for order book. Also view the interview link in my post that is for 30th Jan,2019. Well, I would like to close this discussion from my end since your post is speculating in nature and to you last quarter winning projects are old. I am still waiting for an answer from where you are coming to such conclusion and this is highly speculating in nature. 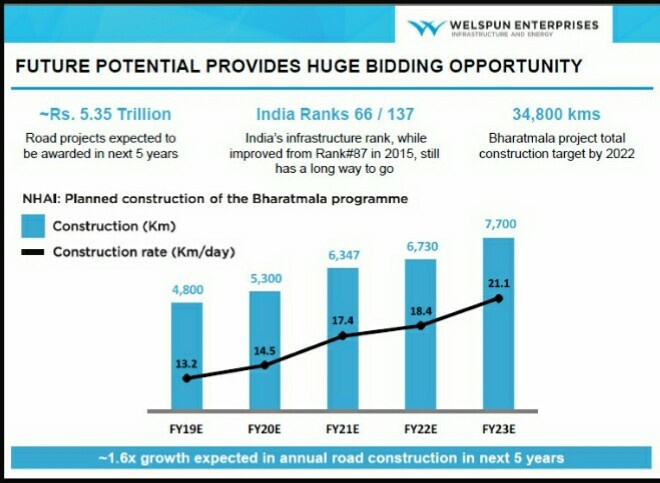 Infra and construction players are witnessing great buying momentum lately. On an average, they are sitting on a Orderbook to Revenue ratio of 3x. This gives good revenue visibility. Moreover, many orders are expected to come by April-mid before election takes centrestage. Many of them were trading at very cheap multiples. Yes right @paraacbe, Q4 last year was lumpy in terms of orders for infra playres, this year it is not being witnessed so. Some orders have come this month, expect more in March itself.